Are you ready for fall? I know I am. All the beautiful, rich colors and of course I can't forget one of my favorite holidays... Halloween. It brings back so many fond memories of past Halloweens. These sweet images remind me of when our kiddos were little. All the fun we had creating their costumes. The Halloween parties and of course we can't forget trick or treating! For this decoration, I painted a paper mache heart black. Then I sanded it to give an aged appearance. 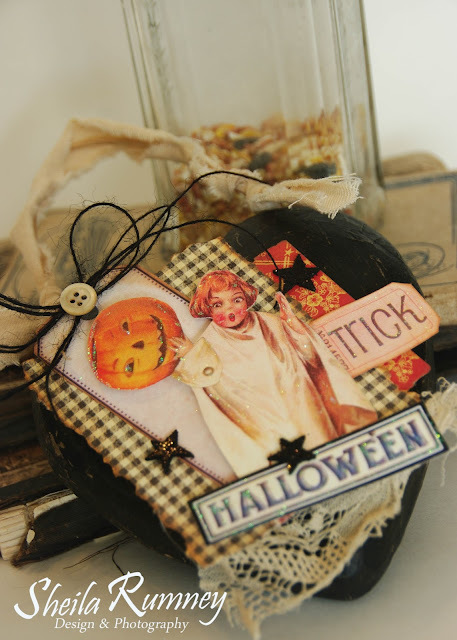 Next I added some of the beautiful papers and images included in the Polly's Paper Halloween Creativity Kit. Can I say that I am in love with this sweet kit? 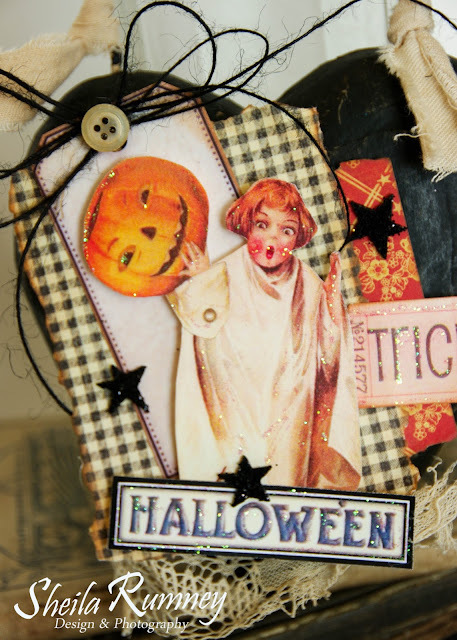 Next I added some glittery stars, vintage creamy button and old, torn lace to complete. I can't wait to show you what else I created using this wonderful kit. 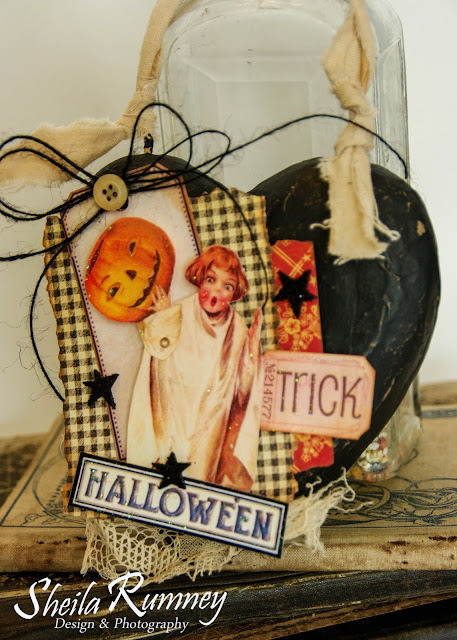 But in the meantime, head over to my friend Kathy as she whipped up a fun Boo Banner using this kit!